There are dogs that bark a lot or break things when left home alone. This is separation anxiety, a very common behavioural problem that can be controlled and treated if we know how. ¿Does your dog bark or break things when left home alone? ¿Even if it is only for a short period of time? It could have a behavioural problem that is very common in dogs called separation anxiety, a reaction that is observed in some dogs when they become separated from their owners. Problems involving destructive behaviour, inappropriate defecation at home and excessive barking are a common concern and cause for consulting the vet. However, these are only symptoms, and the causes must be identified before applying the treatment. Recent studies suggest that separation anxiety affects 15–20% of the dog population and it can be seen in any breed and age, both males and females. On occasion, dogs with separation anxiety may show other signs, such as vomiting, diarrhoea or licking of the extremities. 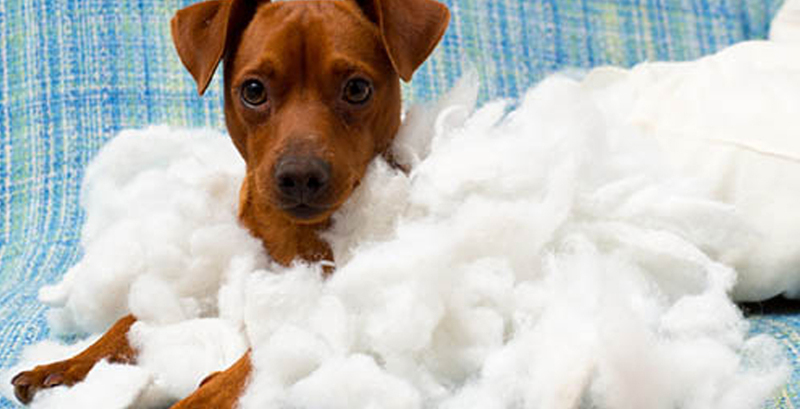 The reasons why a dog exhibits a separation anxiety problem are diverse. On one side is its social nature, since separation anxiety reactions are very common in social species such as dogs (group life). Another cause may be excessive dependence (excessive attachment) of the dog to one or more family members. And finally, there are predisposing factors (premature weaning, animal origin, management). However, not all dogs that destroy things, bark or defecate at home suffer from separation anxiety. To confirm the existence of the problem, the medical record must show the occurrence of one or more of the 3 major symptoms, that is destructive behaviour, inappropriate elimination and excessive caterwauling. 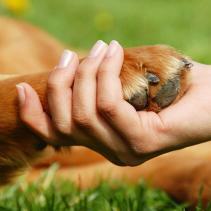 In addition, the dog must develop symptoms only when it is not with its owners. There are other clues to confirm the diagnosis of anxiety. For example, if the dog maintains contact and follows its owner constantly or if, for example, when the owner returns home, the intensity of the welcome ritual is excessive. If the dog also shows symptoms when the owner is present, in principle we must rule out the possibility of it being a problem of separation anxiety. But don’t worry if your dog suffers from separation anxiety, it is a behavioural problem that can be treated and controlled. Treatment is based on a combination of measures, including monitoring of some general patterns of behaviour and use of drugs, nutraceuticals and pheromones. For any questions regarding the treatment of this problem, consult your veterinarian.